For those that have been following my work over the past two years, international students (and graduates) have become a huge part of my practice. Through my work I have gotten to speak to hundreds of international students about their experiences and their struggles. With my own wife now an international student, I see the challenges on a day-to-day basis. I wrote this piece for New Canadian Media because I felt the stories of international students were not being told. The last thing any of them would do is contact media and many, before we pursue federal court to fight their refusals, always worry about their record and their future in Canada. They have told me about their episodes of depression, lack of support, few friends, and frankly it’s a devastating story. This has been compounded by media constantly citing international students for a multitude of societal ills. Most of these ills, I humbly submit are the fault of our entire society of which international students are just a subset. Limited by space, and edited, I left out a lot of things in the final piece for NCM which was well-edited by their Team. I wanted to put the original version below (raw, uncut, with no headings) so you can see some of my thoughts in more fuller form. Over the past year, Canada’s 400,000+ international students, particularly those in major metropolitan cities such as Toronto and Vancouver, have been subject to intense criticism. They have been blamed (directly and indirectly) for being a major contributor to such social ailments as overheated rental markets, unaffordable home ownership, abuse of public services, cheating, and unsafe roads (just to name a few). A bulk of these criticisms are focused, as understandably Canada is only recovering from her post-census statistical dark period, on what we can label as anecdotal accounts. These accounts come from professors who study and interview as part of their work and anonymous, retired institutional instructors who can now share stories with no need to self-censor. These accounts come from positions of privilege. There is no reason to doubt the credibility of these individuals and experts or deny that international students, just like all young Canadian students regardless of citizenship, probably in some way contribute to the social challenges we are dealing with. Indeed, by issuing them visas, they become guests at our proverbial dinner party. However, what bothers me, as the product of an immigrant who came as a Canada international student in the late 80’s and as someone who is now married to an international student, is that this ‘blame narrative’ is just one side of the story. In drawing many of our conclusions, we have not been good listeners of international students. In fact, we generally have silenced their perspectives and ignored their challenges. To begin, it is easy to forget, with every news story attaching immigration status to the identity of the wrong, that the majority of Canadian international students are bona fide, meaning they are compliant with rules and regulations. In 2014, when it was estimated by the Canadian Bureau of International Education there were around 336,000 students, Citizenship and Immigration Canada (as it then was called) estimated that there were 20,000 students at high-risk of non-compliance. This accounts for only about 6% of all students admitted into Canada. One would never guess this by reading mainstream media accounts. Next, it is important to sit down and listen to the challenges of international students and share their stories as well. I believe this task is incumbent on my journalist friends to take on, which I hope this piece will stir. 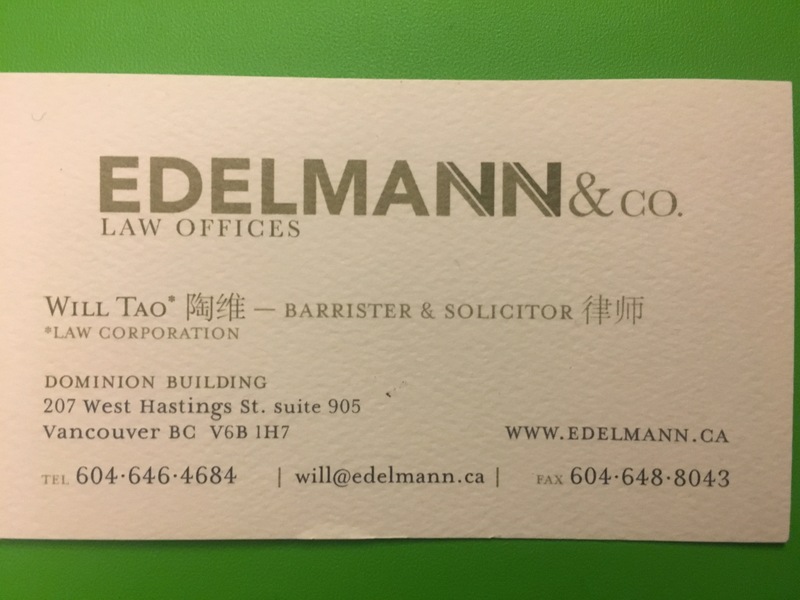 In my legal work advising international students on their immigration matters, I have had the opportunity to become trusted advisor and hear these stories. From first hand experience, I can tell you it takes work for them to share with me their stories in their own native language, let alone share with their own family members and counsellors and teachers in their non-native language. 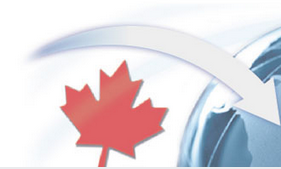 First, Canada’s own immigration policies have made it difficult for international students. On the front end, the financial requirements on international students are prohibitive, in many cases. 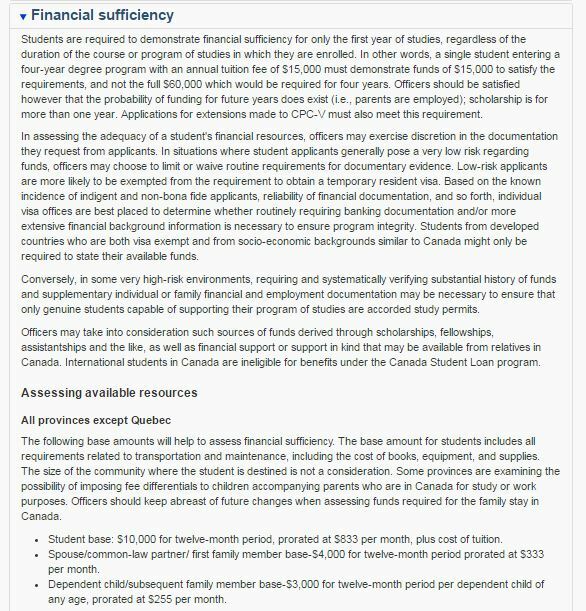 Students generally need to show one year of international tuition (usually four times domestic tuition), funds for room and board, and at least CDN 10,000 additional dollars per applicant (and accompanying family member) just to be approved for study permits. Many of the world’s best, those with the stories of growing up in abject poverty and studying by candlelight, realistically can only study in Canada if they are given a full-ride scholarship to do so. By focusing the attention on what amount to ‘wealthy students,’ the fact that some of these students come with no motivation to study cannot be of no surprise. If we genuinely want better quality students with long-term intentions of becoming Canadian permanent residents and Citizens, Canadian immigration should provide more pathways for these prospective world-class students. Once a student is here, Canada currently has a restrictive requirement that students ‘actively-pursue studies.’ While I believe the initial intentions of the regulatory changes were good, in practice it has hamstrung international students and in an alarming number of cases has even led to the removal of students from Canada. Educational institutions now have two-tiered policies, where international students are subject to what I believe is excessive (and costly) monitoring and reporting requirements with Immigration, Refugees and Citizenship Canada. Depending on the institution, international students have to take certain number of courses and maintain a certain attendance rate, while domestic students do not. I entirely disagree with this two-tier system. I believe in substantive equality for all students and I think that equal treatment is in line with Canadian values. I often use the example of my own undergraduate studies, where I took an economic history course. Due to my intense course schedule that year I went to three classes all semester – one to get the syllabus, one to hand in the term paper, and one to write the final exam. 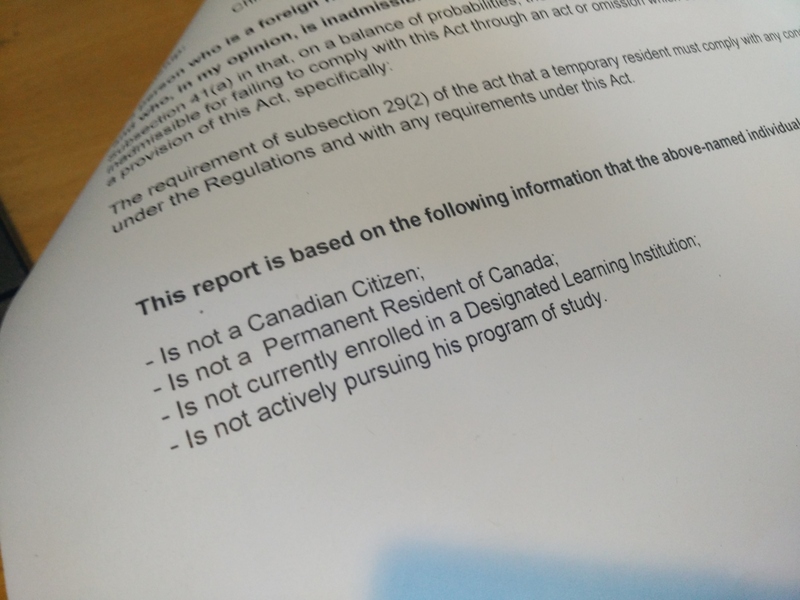 With my 5% attendance record in the course, if I were an international student, I would likely have been kicked out and possibly expelled or removed from Canada. Students with family emergencies, mental health episodes, or who simply want to explore a different area are left helpless by restrictive and, ultimately, unclear policies. Finally, once nearing graduation, eligibility to continue in Canada and obtain a post-graduate work permit for which permanent residency in almost all cases depends on, is tied to the individual’s past ‘full-time and continuous’ study. The way these Regulations work make it imperative for the international student to have remain enrolled at all times. Students with financial difficulties, who do poorly and fail classes, or who simply have been to different institutions and in different programs trying to figure out their pathway often face challenges at this stage. Second, there are major societal barriers against international students. I have worked with many international student advisors who have told me anecdotal stories of students breaking down in their advising sessions as a result of mental health issues. Without family and often adequate knowledge to seek professional help, these students are particularly vulnerable. A common theme from students that have seen me is that they are receiving poor academic support services and have even been subject to discrimination due to their country of origin and their inability to speak English fluently. I think all Canadian institutions need to do more to make their faculty more diverse, and their student services more culturally sensitive and accessible to those dealing with the challenges of being temporary immigrants to Canada. Finally, and it has to be acknowledged, there there is an underbelly of poor, and in some cases fraudulent, third-party services to international students. Many of these purported advisors are untrained and unqualified educational consultants and agents, many of whom operate abroad without any regulation or in Canada with little care or attention paid by regulating bodies to their practices. They charge exorbitant fees, often keep international students entirely in the dark, and structure their arrangements so students assume and absorb all the risk. International students, especially when in desperate situations and without family or friends to assist them, find themselves trapped in cash schemes. These advisors are paid by the institutions and potential employers to set the students up, without full disclosure to their client, the student. Inevitably, if not now than later on, these students find themselves in situations akin to fraud or misrepresentation, for which there are severe criminal and immigration consequences. Regardless of the economic questions and the political questions raised by student immigration, we must not forget that these students need to be represented in the decision-making process. We have seen as an example down south, what happens when immigration law is mandated by public opinion, fear, and top-down orders. If we continue down this path of blaming and not accommodating, I foresee only increased fracturing within our already fragile mosaic. Back in one particular undergraduate semester, I will admit that I had a tiny bit of a skipping problem. It was a problem of the academically inconsequential kind. I knew that by virtue of taking certain courses, with only term paper requirements, that I could free up that one course time to pursue my other research, write papers, and organize projects. Arguably had I filled my course schedule with all of the toughest courses at the worst 8am times, I would not have made it to where I am today. One of the courses in particular was an European History of Economics class that I managed to make approximately three classes for. The first class to the get the syllabus, the second class to hand in my term paper, and the third class to attend the final exam preparation session. I was able to self-read and self-teach my way to an A (not that proud of it looking back). For an international student, that luxury as of June 2014 no longer exists. Speaking from my recent experiences with CBSA (an ongoing matter so I will go into no specific detail on it), I know that officers are now armed with an incredibly thick binder of information on each student. They have access to school policies, attendance records, late records, and transcripts. This is in addition to the school’s own requirement to report student progress. All of this is in relation to the following legislative requirement that was introduced to the study permit changes in June 2014. Individuals found in violation of this provision can be hit with an exclusion order on the basis of subsection 41(a) of the Immigration and Refugee Act (IRPA) for non-compliance based on the requirement of subsection 29(2) of the act which requires that a temporary resident comply with any condtiion imposed under IRPA or IRPR. This type of removal is also a Specific Removal Order pursuant to subsection 228(c)(v) of IRPR which does not require referral to the matter of the Immigration Division for an inadmissibility hearing. The decision is essentially made by the Minister’s Delegate at the conclusion of his review with the Applicant (and counsel should he/she obtain one). Worse yet, is that by operation of s.229(1) and s.229(3)(b) a combination of two inadmissibilities can be lead to a deportation order. A deportation order is a permanent bar on returning to Canada, unless authorized by the Minister. (c) has been convicted in Canada of an offence under an Act of Parliament punishable by way of indictment or of two offences under any Act of Parliament not arising out of a single occurrence, unless the conviction or convictions are the grounds for the removal order. 1(f) covers inadmissibility on health grounds, 1(g) covers inadmissibility for financial reasons, 1(h) covers misrepresentation, and 1(g) failing to appear for examination. Why this condition is problematic? First of all, it must be accepted that this provision does serve a purpose. Individuals who come to Canada on study permits but do not study or are simply buying time to try and obtain other permits harm the integrity of the system and arguably take away opportunities for other Canadians. However, the condition is, on its face, very subjective. It does not specify what level of attendance is required, how many absences or skipped dates can be submitted, or provide a legislated ground for the Applicant to be exempt from the requirements due to certain personal events. For different programs, such as field-based Masters or pHD work, where the study path is not so clear and research breaks are often part of the overall process, the ‘actively pursuing’ requirement adds a layer of uncertainly. I think that at the very least the provision requires an oral hearing (much like in the case of most misrepresentation). This is a factual inquiry, specific to each school’s policies, requirements, and the overall study program of the student. For example, I could have easily been found to be not actively pursuing studies by virtue of skipping my Economics class, but by virtue of the result and my overall program I certainly was actively pursuing studies. The legislation states “course” or “program” which makes the application very broad. Finally, I also find the combinations that can lead to deportation quite troubling. While misrepresentation and failure to appear, combined with a not-actively pursuing studies finding, makes some sense. In the case of financial or health inadmissibility, which itself may be-correlated with the inability to actively pursue studies, a deportation order seems particularly harsh. Go to Class. With the current rules and regulations, it is probably not the best idea to try and plan class-time day excursions or trips with your Canadian boyfriend to Europe during scheduled course time. I had a good after-hearing discussion with a particularly helpful CBSA Hearings Officer on this issue. From their perspective, it is about the international student constantly updating CIC on decisions such as withdrawing from one institution to attend another or taking certain leave of absences. I would go a step further and argue this is a tripartite relationship. If I were an international student I would ask the school as much as possible to keep you informed as to the type of notes on your record. For example, should you have permission to take a leave, this leave needs to communicated appropriately not only to professors but to the administrators in charge of providing this information to CIC. Any information gap could lead to negative consequences.